We know how demanding landlords can be. They get especially troublesome when their tenants’ contracts are about to expire. Your landlord will do anything they can to make you disinfect their property, and if you don’t do it – prepare to lose your deposit. Yet, you can’t blame them. Put yourself in their shoes – you’d want your property to be left as clean as it was when tenants moved in, right? If you want to receive a full refund on your deposit money, prepare for quite the cleaning process. Unlike domestic cleaning, end of lease cleaning is a lot more time-consuming because you mustn’t turn a blind eye on anything in your rented property. We can help you – just call us and book our professional bond cleaning services. We are experienced professionals who know how to clean. We’re working in Perth and we’re the best there. All years we’ve spend working hand in hand with real estate agencies have taught us what do owners expect when an end of lease cleaning is undergoing in their property. We’re pleased to announce that ever since we’ve set up shop, we haven’t had a single unsatisfied client. We are armed with professional cleaning machines and we’ll help you get your money back! We’ll go through your leased property room by room, wiping, dusting and polishing everything as we go. We’ll make your rented property sparkle, just call us and book our services. 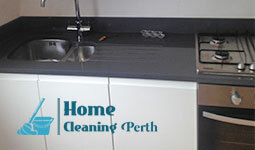 With our help, your landlord will have the cleanest property in Perth, and you’ll get your deposit money back, too. Contact us today and book our end of lease cleaning services and you’ll get your deposit back for sure. We can be found in Perth.